With any great social media strategy, images play an important role. The images may evoke emotion through: humor, motivation, inspiration and positivity. With any niche, the images are there to provide a source of trust and knowledge. The goal is to have the image resonate with your audience or tribe. Remember that your images should kind of be about your niche and not creepy. Of course you’d want to mix in these images or quote images with your content from your blog and other resources that relate to your niche in social media. Well that’s a whole other post for another day. You need to have the right tools to get the job done. Right? 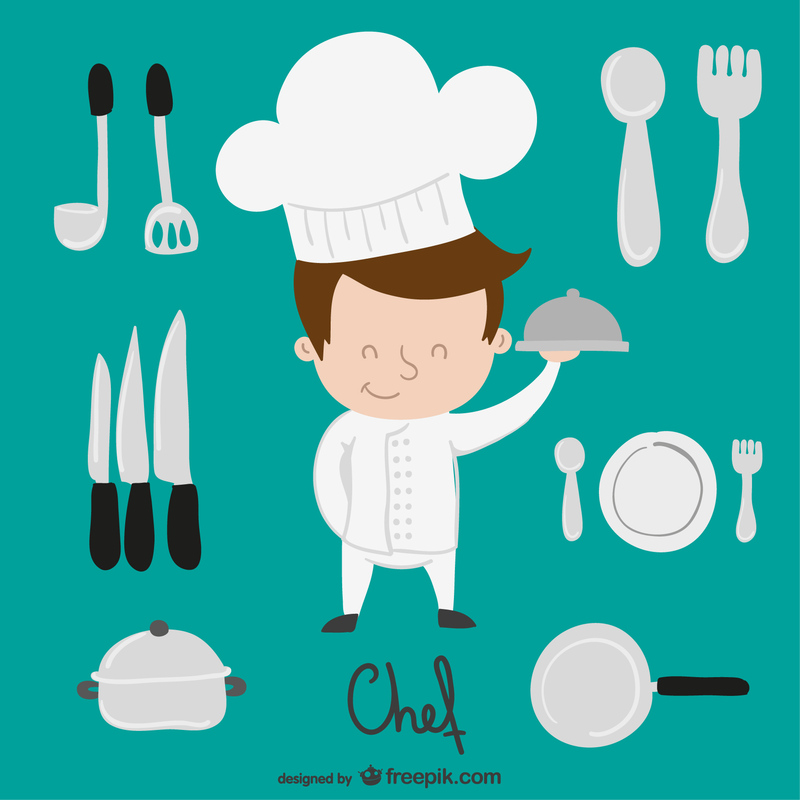 A chef with all the proper tools to get the job done. There are many different image creation tools out on the web. I love testing them out to see what can help a small business or entrepreneur with their visual content marketing. Here’s a post I did a while back (almost a year ago) about Canva and PicMonkey. I’ve come across Share as Image and taken some time now to really test it. Share as Image states it’s the fastest way to double your social engagement. I believe it… according to HubSpot, 150% of tweets with images are retweeted. There are two options you can choose from when you go to their home page: Launch App or Install Bookmarklet. I have done both methods and it is pretty fast in getting images you want or the quote that you want displayed on a photo. They do have a quick video tutorial on how it works on their home page that makes it seem like a breeze to work with. With any app, I always like to explore my options with the free and paid options. You know… what’s going to give me more BANG for the BUCK?! Another item I noticed for the PAID option is the Share As Image logo will be removed and you can use your own logo. Now using other services like: Canva, PicMonkey, Pablo, Fotor and Pixlr they all allow you to create images and upload your own logo to the image for free. This feature was a bit disappointing however I think the ease of use and the library of photos outweigh that negative aspect. The paid version is $8/month if you pay the yearly plan or it’s $12/month as a monthly plan. I noticed the button below the canvas to change the shape from Original (can be used for Facebook), Wide (use for Twitter), Tall (use for Pinterest), and Square (for Instagram). Any of these sizes would work for Google+ as well. I was pretty impressed with the sizing feature for it’s ease of use. On the left of the preview canvas, you will find all the editing features you need. The first tool you can use is to edit the Background, which provides a color change option or upload your own photo. There is a Background tab you can click on which gives you the photo library. The library will be limited for the free version and will have 1,000+ photos in the library for the paid version. The first tab is the Text tab. You can change the font, size and color. Just add text in the text box and it displays on the preview. For additional text, click on +Add Text Field and it will provide another text box. To move your text, you just drag it to the spot you’d like on the preview canvas. There is an option for shadow and box background behind the text only. There are 50+ fonts, which has a great variety to play with and convey the message you’d like on your image. Okay this is the part where if you don’t have the paid version then you’ll have shareasimage watermarked on your image. However if you do have the paid version then you can upload your logo and size it from Tiny to Large. What’s pretty neat is wherever you leave your logo on the image, the next time you make an image it stays in the same spot. The templates are awesome when you need something super quick and you can change out the text. Also there is an option to save your own image as a template and it will save in the My Templates section. Any time you go back into your account you have templates ready to use. Okay this is the moment you’ve been waiting for… well maybe for me. Ha! We’ve created an awesome image or used one of the templates. We can now click on Save & Share; it will give you plenty of options to share on social media (Facebook, Twitter, Google+, Pinterest, and Buffer). Also a regular download and HD download is available. WOW! Lots of options I must say. Now that was to use their Launch App. Remember there was a bookmarklet option? Check this out! You can install the bookmarklet on Safari, FireFox, or Chrome extension by dragging the bookmarklet right to your bookmark toolbar. I use Safari and once I dragged it there I was able to use it immediately. I can go to any website and choose a quote or name of an article or a testimonial… any text I’d like and it pops right into the platform for me. Sweet! Share As Image can be used on any business website that would like their readers to share text as images. Brainy Quote is the largest quote site and they have it automatically embedded for readers to just click and go. Share As Image is super user-friendly and I really like using it. If you’ve been following my blog you probably know I’m a huge Canva user and I really can’t compare Share As Image and Canva since I feel like they’re at different levels. Canva is a little more robust in creating different types of images and PDFs. Share As Image is a perfect tool for quote images only. 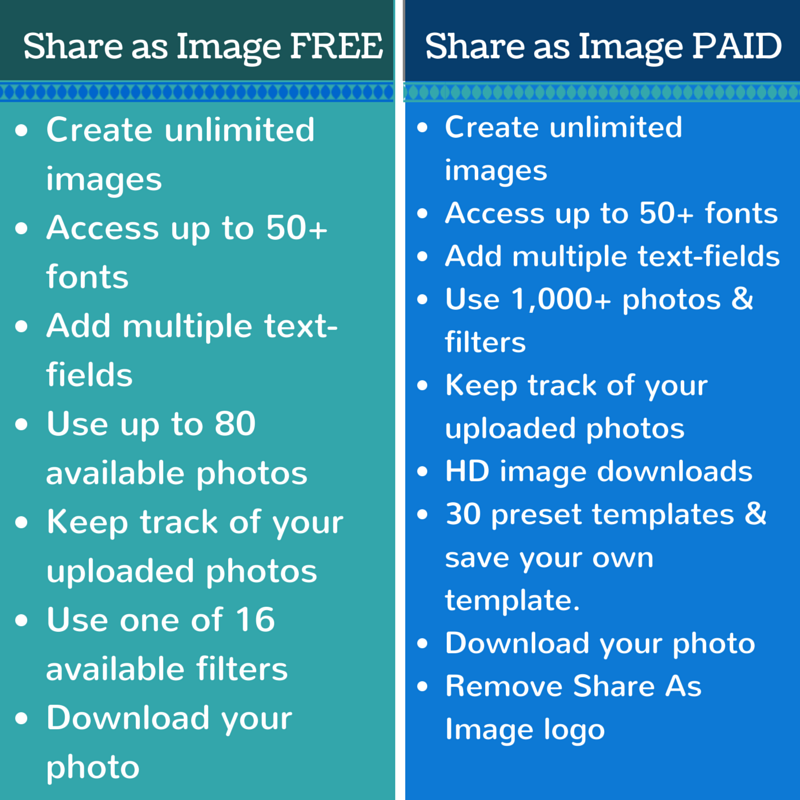 I would definitely recommend Share As Image to those who really want to create quote images fast and don’t want to learn the ins and outs of Canva or PicMonkey. I believe the paid version is worth it with access to the number of beautiful photos, storage of images and ready to use templates. I hope this review has helped you and be sure to give Share As Image a try. Let me know if you’ve tried Share As Image. I’d love to know what you think of it. *Disclaimer – I was not paid to review Share As Image. They did give me access to the PRO version to research their service and provide feedback. No I have not tried or heard of Share as IMage before so I will be sure to check it out. Thanks for sharing. It’s very easy to use! Give it a try and let me know what you think of it. Excellent tutorial Lillian! 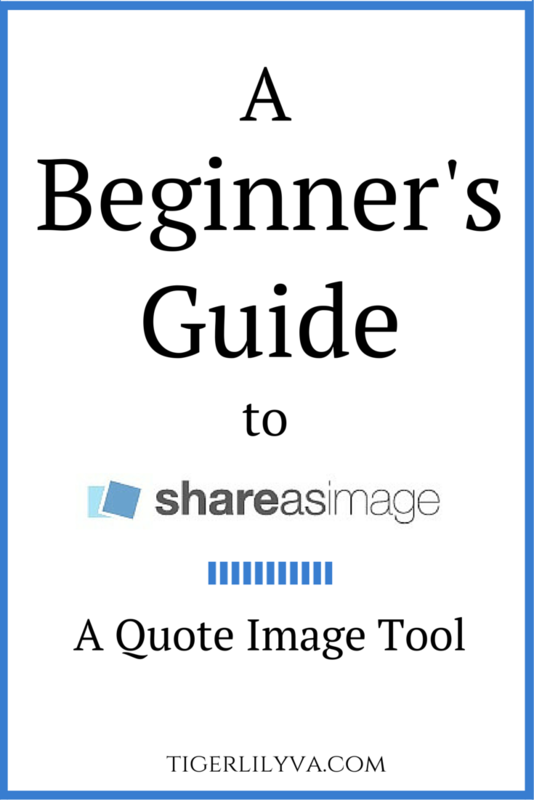 I’ve never heard of Share as Image but I’m always open to learning about new resources! The downside as you’ve already pointed out is the ad feature, but still it’s always good to have choices and learn about new tools. Thanks! Yes, I did ask them about their shareasimage logo being removed as many other programs are free and are not advertising on the images. They state they will definitely think about it. If anything changes I will be updating the post. Canva is easier to use for me, but will look again. Yes, definitely give it a try. It’s a lot easier than it looks. Oh my, a new graphic toy. This sounds great, especially capturing text from other sites.. wonderful information, thank you! Glad this will help you! Yes it’s such a convenience to be on a random website and want to quote image something immediately. They’ve done a really great job with that feature. Glad you stopped by to read this post! I’m happy to know you like the tips. This is super exiting for me! 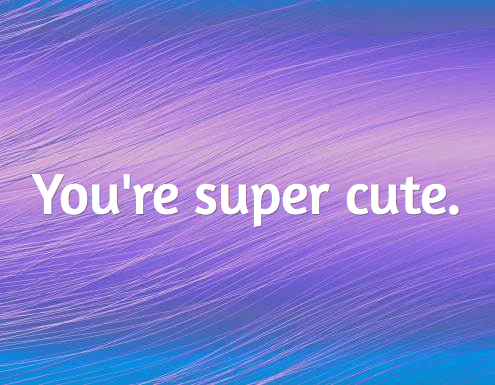 I’ve been using Canva a lot and also Pagemodo. Now Share As Image looks fantastic to me. I just pressed the link and it looks pretty simple to use. Images are so important these days and there is just so much one can do with Canva….this really looks great to me and of course when using this the paid version is the best way to go. Thanks so much for introducing me to this because I do need to pump up my images. I do like to make my own that are unique. Awesome Donna! Share As Image is a neat tool and is SO easy to use. I love Canva but it’s nice to have an alternative for quick images. I especially love the bookmarklet feature so if I’m on any website and see a quote that I like I can highlight it, click on the Shareasimage bookmarklet and BOOM the quote is ready to go for my background and URL. Love it! I know you’ll love it too. I do have some suggestions for them as far as the template feature and storage that I’ll be sending over to them. I’m glad you liked this post! Pingback: New and Improved Share As Image is Now Called Stencil | Tigerlily Virtual Assistance | Helping your business BLOOM!